The attic at Brambles, the family home in Surrey, was where they played with their trains and soldiers and, as they grew, where plots unfolded out of reach of their little sister. It was also the natural store room for school trunks and forgotten things. To be fair, Alice never ever wanted to interfere with the boys’ games. All she hoped for was for a chance to peep inside one particular trunk, the one that never accompanied them to their boarding schools, the brown one in the corner. It had the initials A.J.C. on it which meant it must have been her grandmother’s. 06.04.2008 - But in 1990 Alice got her way. Not only had she inherited her grandmother’s name, she also inherited Brambles, together with its attic and the brown trunk. Before her own boys took over the attic for themselves she got her husband to break open the padlock on the trunk. To begin with she was slightly disappointed. It was not filled with treasures or the secrets that had so filled her daydreams as a girl. In it she found just ordinary things like books, a bible, old photographs, a beautiful 1920s handbag, a small African mahogany box and a bundle of diaries dating from 1930. Her grandmother, who died suddenly when Alice was too young to remember, must have been fifteen in 1930. Alice was never permitted to set foot in the attic. It was the boys’ room and her brothers defended it like possessive knights in a medieval castle. Alice left the trunk as it was but took possession of the beautiful handbag and put the mahogany box on her bedroom mantelpiece. She wondered what might be inside it but found no trace of a key to fit and soon forgot all about it. Alice also decided to look at one of the diaries. It aroused her curiosity because it was the only one sealed with a red ribbon. It belonged to 1932. The diary told Alice that in early 1932 her grandmother, who was seventeen at the time, had been sent to stay with her cousin in the Canary Islands to recover from pneumonia and that the air in Puerto de la Cruz had been miraculous. It also told her that her grandmother had been put on a ship home to England earlier than anticipated. The diary made no secret of the reasons. After heavy rains in February Mount Teide was sparkling with a cloak of white, warm easterlies had set in and an early spring invited the birds, plants and flowers in the garden at El Pino, her cousin’s home on the hillside in the Orotava Valley, to blossom in an array of spectacular sound and colour. The island offered a natural promise of charms, feminine and sensual, and the young English lady had become attracted to a young islander called Imeldo. It was under the pitanga tree that it had all begun. The young lady, a perfect example of English beauty, had been floating through the gardens and strolled up the steps behind the badminton court, tempted by the tree with the bright red berries. At the top of the steps she discovered a field of onions and water flowing into it from a narrow channel which ran along the foot of a black stone wall behind the tree. She also came face to face with the most handsome boy she had ever set eyes upon. She described a tall, olive skinned lad with jet black hair and brown eyes that at first inspected her coldly and then smiled a rich smile that pierced right through her. He was picking the red berries from the tree whilst watering the onion field. She was about to turn back down the steps when the boy reached a hand up into the tree, plucked one of the fruit and offered it to her, imploring her to try it, “pitangas muy buenas. Ahora están sabrosas!” he promised before putting another in his own mouth, rolling it about and then spitting an enormous pip at a lizard which was sunbathing on the stone wall. Her apparent surprise at the taste, the freedom of the encounter and their spontaneous laughter led to daily, furtive meetings under the pitanga tree. It was not long before the gentle climate, conversations in sign language and forbidden looks led to a point of no return with Imeldo. Warning signs invaded the household at El Pino and the hostess decided that a rapid recovery from her pneumonia had been achieved and that Alice’s grandmother should depart before she caught another more damaging kind of disease. But the young English lady and the islander were permitted a brief farewell. They met under their tree at the top of the garden steps. It was not a sad goodbye. Instead it was almost as if a kind of logic had overcome their deepest thoughts. They both appeared to have accepted the ending as if it were as natural as the spring. Like their first encounter, Imeldo reached up into the pitanga tree and offered her a fruit with those smiling eyes of his. Then, from behind the tree he brought out a small, simple reed container and gave it to her. He had evidently made it himself. 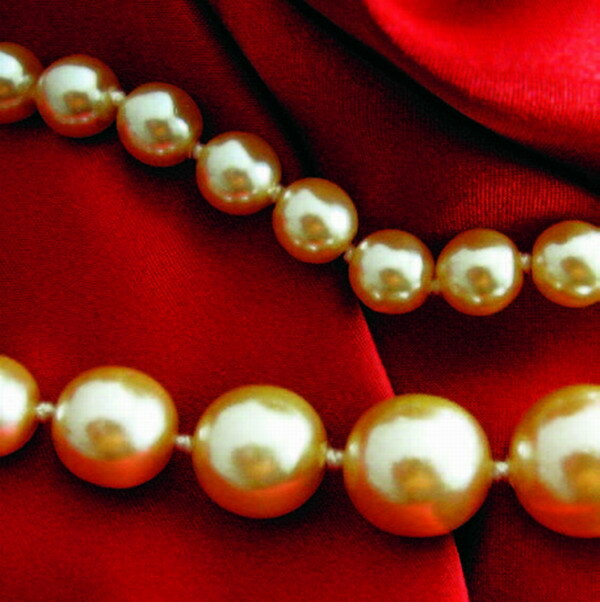 In return she put her hands behind her neck, undid her pearl necklace and gave it to Imeldo. A tear appeared on both their cheeks, but it was one of hope, for both decided to put the necklace inside his container and to place it behind a stone with a slightly darker shade of black in the wall above the water channel. That token meant that perhaps one day they would meet again under the tree. Soon after reading the diary Alice persuaded her husband that they should take a holiday in Tenerife without delay and it was in April 1991 that they all arrived at the Miramar Hotel, a delightful family run hotel in Puerto de la Cruz, for the Easter Holidays. Alice enquired at the desk about a house called El Pino. It was well known and just a fifteen minute walk up the hill. So, leaving her husband and boys by the swimming pool, she set off with a map and her grandmother’s water-coloured sketch. El Pino was charming enough but it was very run down. The croquet lawn described by her grandmother no longer existed, a villa had taken its place. The new owner was kind enough to show her the remains of the badminton court which was now full of cracks and overcome by weeds. The gardens were no longer an enchanting array of colour. The steps behind the court were still there but had been walled in at the top. There appeared to be another villa on the plot where the onions grew sixty years before. Things had changed a great deal. But, peeping from above the stone wall at the top of the steps was a very green tree with what appeared to be dozens of red berries. It was still there! Her grandmother’s pitanga tree! It was in the garden of a house belonging to a Mr. John Livings. That evening at the Miramar Hotel the lady at the reception said she knew Mr. Livings well. His family had been merchants in Puerto since the middle of the 19th century and she offered to telephone to inform him that there were guests who would like to meet him. Consequently, without hesitation, Alice and her family were invited to tea the very next afternoon. After explaining, not without certain emotion, about her grandmother’s diary, Alice was invited to see the pitanga tree in a corner of the garden. 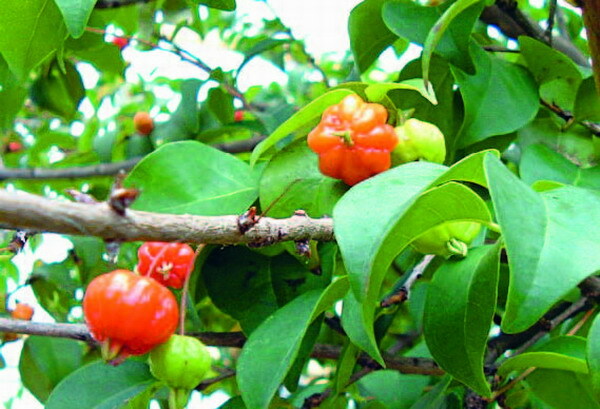 John Livings explained that pitanga was in fact a local name for a tree which had its origins in the subtropical jungles of Uruguay, Paraguay and Argentina and that some people made jams out of the fruit. The tree was full of fruit, green, yellow, orange and dark red. Nevertheless Alice simply wanted to taste what her grandmother had tasted. She wanted to know if the secret was still hidden in the stone wall and her host evidently sensed the urgency of the moment, picked a couple of the ripe red fruit and enjoyed watching as his new cousins sampled their bitter-sweet juice. Alice smiled and asked for another. Her husband refused to try again while they searched behind the tree and above the now dry and disused water channel. When they removed a slightly darker shade of black stone from the wall they discovered the reed container. It crumbled under pressure in Alice’s hand, but inside was the necklace of pearls, and attached to its timeworn string they found a small antique key. 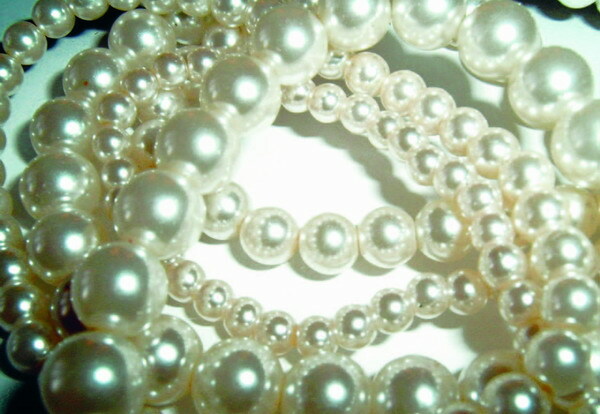 Except for a slight covering of rust, it and the pearls were in remarkably good condition. “That must have been the key to your grandmother’s young heart!” said Alice’s husband, trying to break the ice after a long silence. In fact his casual remark opened the floodgates to what was a very tense and sensitive moment. Alice could not hold back the tears. “No darling”, she replied not knowing whether to laugh or cry, “this is the key to Granny’s mahogany box”.